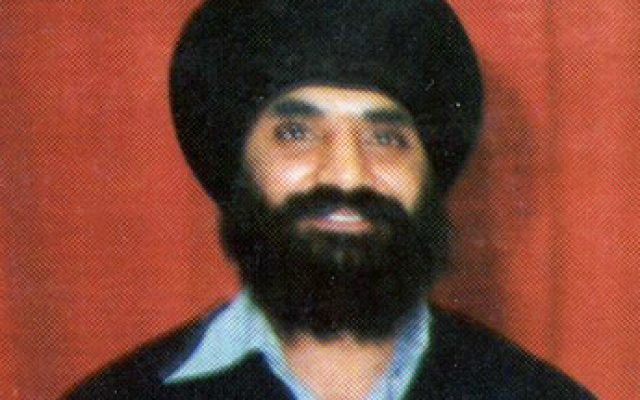 Walsall sangat and the panth as a whole will always feel the loss of Shaheed Bhai Gurcharan Singh Khalsa. Gursikhs such as Bhai Gurcharan Singh Khalsa are truly few and far between. Bhai Sahib always put the panth first and always ready to put his neck on the line for Panthic benefits. Bhai Sahib was heavily influenced by the Indian government assault on the Akhal Takhat, the surrounding Harimandir Sahib complex and the attacks on the other 38 Gurdwaras throughout India in June 1984. After these events Bhai Sahib became more religious and he took Amrit along with his family. He became a member of the International Sikh Youth Federation (ISYF) and was a fervent Sevadar, his Seva overwhelmed the Jathebandi and he was appointed the president of the Walsall Branch ISYF. Bhai Sahib started many commendable projects in Walsall along with other Gursikhs of the town. Bhai Sahib was one of the founding members of the Walsall Nagar Kirtan, which was one of the first Nagar Kirtans in the country. He transferred the dream of Amar Shaheed Bhai Amrik Singh into reality, Bhai Amrik Singh dreamt of Gurmat Camps being held throughout the world – to raise awareness about Sikhi. Bhai Gurcharan Singh Khalsa with this in mind started the Walsall Gurmat Camp along with his co-workers of ISYF, the camp is still going strong and it occurs annually every summer. There are some misguided Sikhs who argue that such camps are a waste of time and money, yet great souls such as Bhai Amrik Singh, Bhai Fauja Singh and Bhai Gurcharan Singh Khalsa organised and promoted such camps. I want to narrate a few examples of the effectiveness of such camps and the lasting effect it can have upon those that attend. A few years ago I was a group leader at the Walsall Camp and one of my duties as a group leader was to wake up my group in the morning and get them ready on time. It was early in the morning and I started going around my group to wake them up, I went up to one of the boys and shook him to awake him, the boy replied to my shaking by saying “ Vaheguru” and I was baffled. I went to a couple of other boys and they too replied by saying “Vaheguru,” I couldn’t believe what had just occurred in front of me, these boys were even doing Simran in their sleep. I did not have it in me to try and awake them and I just let them sleep in their meditative moods. At the Walsall Gurmat Camp Bhai Gurcharan Singh Khalsa is sorely missed. I have never come across any Sevadar of the camp that commanded and received the respect that Bhai Gurcharan Singh Khalsa did. He was a great role model for the children of the camp to look up to and aspire to be like. I remember the manner in which all the boys attending the camp including myself used to get scared of even the mention of Bhai Gurcharan Singh Khalsa’s name. The boys did used to get restless at night in their sleeping quarters as would be expected from children, and the Sevadars who were in attendance used to say that they are going to call Bhai Gurcharan Singh Khalsa to calm us down, all the boys would fall silent at this and would go to sleep at once. The Walsall Gurmat Camp has brought forward many Panthic Sevadars from varying backgrounds and nurtured many children towards Sikhi. My mother used to do Akhand Path roles on a regular basis and on many occasions Bhai Gurcharan Singh Khalsa used to come and pick my mother up and drop her off, as in those days we did not have a car. I vividly remember how he used to consistently doing ‘Choupai da Path’ whenever he used to come and pick my mother up, or drop her off, I remember sitting in silence in the car as a child, whilst Bhai Sahib would be doing Path. Bhai Sahib was always in Chardi Kala and forever attempting to improve his practice of Sikhi. Baba Jagjit Singh (Harko Vale) was doing Gurbani Katha at Nanaksar Gurdwara, Pleck, and Walsall and where Bhai Gurcharan Singh was in attendance, Baba Ji told of the importance visiting Hazur Sahib for a Sikh. He said a Sikh should visit Hazur Sahib at least once in a lifetime and that our Father Sri Guru Gobind Singh Ji waits for each Sikh to visit this Gurdwara until the age of 60 years. Upon hearing this Bhai Gurcharan Singh Khalsa instantly made his mind up to go and visit Sachkand Sri Hazur Sahib. He did not want to take the risk of waiting to go and visit Hazur Sahib, as he was wisely aware that this life gives no Guarantees of how long we will live. Bhai Sahib got ready to embark for his trip. But his friends and Baba Jagjit Singh advised him that he should not go to India, under the current climate, as his life would probably be under treat. We must remember that Bhai Sahib did not hide his beliefs and was a prominent figure in the Khalistan movement in the UK, and there was political turmoil in India because of the Sikh struggle for self-determination. Upon arrival in Punjab Bhai Sahib went to Harimandir Sahib and many other Gurdwara’s, meeting many influential Panthic leaders along the way and then made arrangements to go to Sri Hazur Sahib. The Indian intelligence was keeping a close eye upon the movements of Bhai Gurcharan Singh Khalsa and the notorious Black Cats of the Punjab police started to follow Bhai Sahib. Bhai Sahib joined the Nagar Kirtan as soon as he could when he got to Sri Hazur Sahib, meanwhile some of the Black Cats were searching his room and others were still following him. Bhai Sahib started to get suspicious and thought that there would be some sort of attack upon him, so he made plans to return to Britain along with his family (wife and four children) who were travelling with him. But Bhai Sahib was unaware that the Black Cats were determined to eliminate him, at whatever cost. Bhai Gurcharan Singh Khalsa and his family were travelling on train back to Punjab, after doing his Nitnem and 5 Choupai Sahibs (for Chardi Kala of the Panth) went to the toilet. The Black Cats claimed their opportunity as Bhai Sahib was caught alone and unaware, they threw him off the train and he got run over by another oncoming train. His body was severed into pieces by the oncoming train and he attained Shaheedi on the 9th November 1989. Shaheed Bhai Gurcharan Singh Khalsa will be remembered as a Gursikh of high morals and fortitude. The youth of Walsall will all confirm that Bhai Gurcharan Singh had a lasting effect upon their lives.